The word ‘allergy’ appeared for the first time on 24 July 1904 in a publication by Clemens von Pirquet. The term he created refers to a certain set of symptoms that had previously not been classified. More than 100 years later, there is still much research to be done, but there are now many ways to treat allergies or relieve their symptoms. People with a house dust mite allergy can use encasings(special bedding and mattress covers) to reduce exposure to mites while in bed. Creating an inhospitable climate by setting the room temperature to below 25°C and keeping humidity low can also help reduce allergen contact. 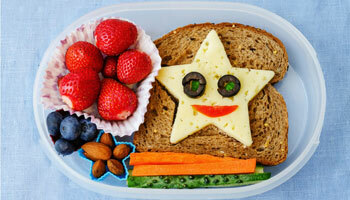 If a food allergy has been diagnosed, a low allergen meal plan can be created with guidance from a nutritionist. It is important for mould allergy sufferers to maintain proper living conditions in order to prevent the growth of mould and mildew. Individuals with allergies to pets such as cats and dogs should not keep animals in their homes. 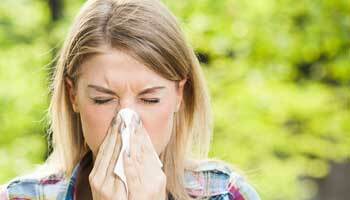 Depending on the allergy, it can be very difficult to avoid exposure to the allergen. For example, it is hard for people with a birch pollen allergy to avoid exposure to pollen in Germany in the spring. It is also nearly impossible to completely avoid house mites in everyday situations, since they are present not only in the home but also at the cinema, on the seats of public transportation, and in carpets at friends’ houses. The energy efficiency standards of new buildings have resulted in an optimal indoor climate for mites. Depending on the severity of the symptoms, it can be helpful for patients to spend some time in a mite-free climate zone, such as the Alps, until their lung function and asthma symptoms improve. Pollen allergy sufferers can visit regions with low pollen counts during the peak pollen season (for example, they can travel to southern Europe to get away from birch pollen). The aim of allergy shots (medical term: specific allergen immunotherapy or hyposensitisation, previously also called desensitisation) is to influence the immune system in such a way that it becomes permanently used to the allergen, to the point where symptoms no longer occur. Over an extended period of time, patients are regularly given the allergen that causes their symptoms. The dose is gradually increased. Once the final target dose is reached, the therapy is continued for several more weeks or months. Through regular exposure to the allergen, the body should learn that it is not dangerous. Specific allergen immunotherapy is the method of choice for treating certain allergies, but it requires patience and persistence on the part of the patient. Following completion of immunotherapy, around 70% of patients are symptom-free, often permanently or for a significant period of time, or at least need much less allergy medication. Allergy immunotherapy is used to treat allergic rhinitis and allergic asthma and is especially effective in the early stages of the disease. It can be used in children and adults. For insect venom allergies (wasps, bees), the success rate is even higher. This treatment option is not (yet) available outside of clinical studies for other allergic diseases such as food allergies. There are two different forms of specific allergen immunotherapy. In subcutaneous immunotherapy (SCIT), patients receive the allergen as an injection into the subcutaneous fat. SCIT can only be performed by a doctor. In sublingual therapy (SLIT), patients receive the allergen in the form of drops or tablets that dissolve quickly under the tongue. Unlike SCIT, the allergen is administered daily. However, it can also be self-administered by the patient following a doctor’s instructions. SLIT therefore requires fewer total visits to the doctor. For many years, the production and approval of these vaccines were largely unregulated. 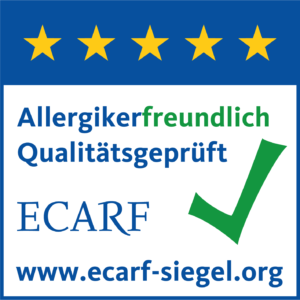 The German Federal Ministry of Health issued new regulations for the approval of allergen products (referred to as the Therapy Allergens Ordinance (Therapieallergene-Verodnung – TAV) in 2008. After a reasonable transitional period (projected for 2023/2024), regulatory approval will be mandatory for major allergen sources. Today, many of the most widely used products have already passed tests on their ingredients and efficacy. If it is impossible to avoid the allergen, certain medications can help relieve allergy symptoms. Antihistamines suppress the allergic reaction by blocking the messenger histamine. Many commonly available products are fast acting and can be obtained over the counter at a pharmacy. Cortisone medications often require a prescription and can be used if antihistamines do not provide sufficient relief. They have anti-inflammatory properties and are administered in different forms, such as a cream for atopic dermatitis, a nasal spray for allergic rhinitis, or an inhalation spray for allergic asthma. Since cortisone is used directly at the site of the symptoms, a low dose is often sufficient. Topical immunomodulators are another option for treating atopic dermatitis. Applied in cream form, they influence the skin’s immune response and relieve the symptoms of atopic dermatitis. The most important tool in the kit, and the one that saves the most lives, is the auto-injector. It contains adrenaline, which stabilises the circulation very quickly and normalises cardiac function.